Communio is at the forefront of improving service delivery in the public and private sectors in Australia and New Zealand. We work collaboratively with governments, publicly listed companies, private enterprise, not for profit organisations and individuals to improve services and develop capability. Our clients range in size from small organisations to large federal government departments. Communio has an enviable reputation in policy development, organisational improvement, and service delivery. Communio has achieved excellent results at the local, state and national levels in both Australia and New Zealand. Our strength is our skilled team of professionals. They bring extensive experience and leadership in a wide range of disciplines. Communio’s core expertise is in developing and implementing practical, sustainable solutions. This work is underpinned by robust project management and service delivery methods. We have a strong track record and established reputation for reliable delivery of project outcomes on time and on budget, meeting and often exceeding client expectations. Communio prides itself on producing high quality documentation, tracking deliverables and ensuring deliverables are presented to the highest standard. Communio is at the forefront of improving the delivery of healthcare and human services in the public and private sectors in Australia and New Zealand. Communio works collaboratively with governments, organisations and individuals to improve healthcare and human services. Communio’s strength and value is in our team which comprises highly trained and skilled professionals, including clinicians, who bring extensive experience in a wide range of disciplines including quality and safety in healthcare. 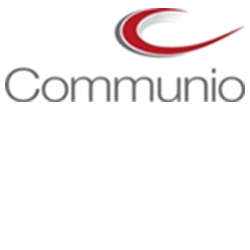 The Communio team members are recognised leaders in policy, management and clinical practice. Communio has achieved excellent results at the local, state and national levels in both Australia and New Zealand, developing strong links to government and non-government organisations. The Communio team have led, supported, advised on and met targets and objectives in a range of key projects that have made a real difference. Communio uses evidence of best practice to tailor our approach to deliver practical solutions. Our team members pride themselves on being flexible and responsive to our client’s needs. At Communio we value: respect, honesty, integrity, passion and fun. In conducting our services we are: practical, flexible, collaborative, credible and efficient.